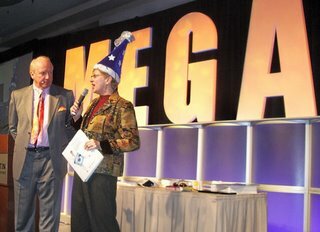 I was part of Mark Victor Hansen’s MEGA Marketing Magic event! As an exhibitor, I was given a breakout session. Mine was called “Graphics Wizardry: Turn Your Branding Concepts into Designs that Magnetize Sales! 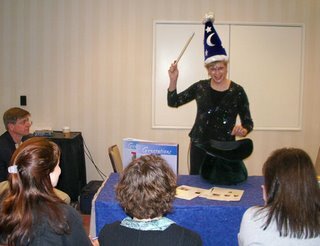 I created a magic show act where I pulled my graphics out of a giant magic hat. 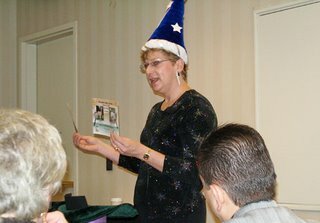 It was so much fun and was a hit with the attendees . . . I had them “under my spell” . . . at 7:30 am no less! My good friend, Barbara McNichol of Barbara McNichol Editorial helped me out with my booth, and we collected quite a few cards from interested prospects. 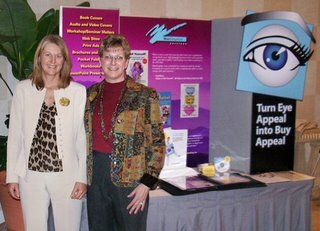 Conference attendees were interested in graphic design and copywriting services . . . we offer everything from book cover design to logos to brochures and ads. During the event, I couldn’t believe how easy it was able to “rub elbows” and have one-on-one conversations with some of the great names in marketing and Internet strategy—Mark Victor Hansen, Alex Mandossian, Ali Brown, Lorrie Morgan-Ferrero, Cat Seda, Brad Fallon, and Rick Frishman. WOW! This was a one remarkable experience. I truly will cherish the fond memories and new friendships.